San Diego’s warm autumn weather means the whole family can stay out all day and enjoy any one of these amazing budget-friendly fall activities for kids. Some of San Diego’s best street festivals take place in the fall – a great way to get introduced to the local flavor when it comes to food, art and entertainment. Bounce houses and other inflatable wonders allow kids to burn off energy while you recharge your batteries. Notables include: Adams Avenue Street Fair, Old Town’s Fall Festival, Fall Back: The Children’s Historical Street Faire and Carlsbad Village Faire. 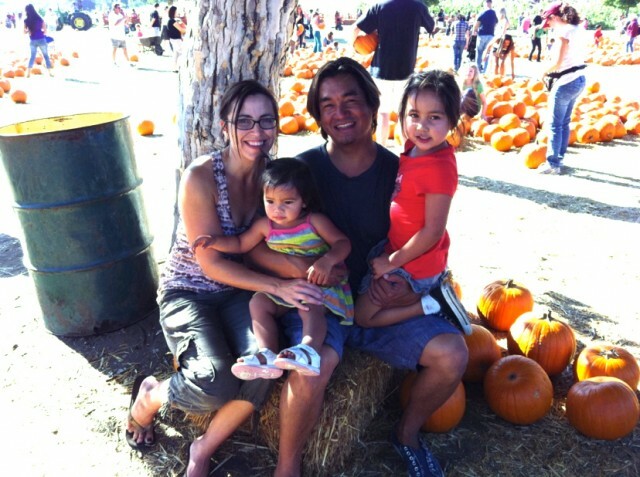 A Fall Classic of a different sort, a family trip to the pumpkin patch is an absolute must. Bates Nut Farm is still the granddaddy in terms of size and scenery, but outfits like Pumpkin Station offer smaller scale versions scattered throughout the county. Colorful pumpkins, kiddie rides, petting zoos – here’s a chance to finally update your family photo on Facebook. I like taking my kids to a San Diego Farmer’s Market in the fall to remind them there’s life beyond the frozen food section. Kids go ga-ga when they get to sample everything from plump juicy peaches to fresh popped kettle corn. Our favorites include: Hillcrest, Little Italy and Oceanside. With its serene setting and convenient location, the San Elijo Lagoon Ecological Reserve makes getting back out into nature a breeze. Serpentine through the estuary trails that offer amazing photo opportunities and just the right amount of exercise. Pack a lunch and sit up on the rooftop deck to enjoy a million dollar view of the Pacific. 5. Take a family bike ride on a surrey! Your family will have a blast on these quirky, easy-to-ride four wheelers, whether you roll along the Embarcadero or navigate the trails of Coronado. Wheel Fun Rentals will provide the perfect surrey to fit your size family. They offer a 2nd hour free when you get there before noon and use their online coupon. Your pint size Picasso will get a chance to create his or her own asphalt masterpiece on the streets of Carlsbad at ArtSplash, an annual chalk art festival which draws over 30,000 visitors. Officially opening September 30th, the $185M state-of-the-art Central Library downtown is destined for greatness with its 9-stories, panoramic bay views, own café, free wi-fi and an impressive 9,141 square foot children’s section. A day trip to this colorful countryside setting for the Julian Apple Harvest (September-Mid-October) will silence anyone who’s ever said San Diego doesn’t have seasons. Plan your excursion around the Apple Days Festival on October 5-6, 2013, when this charming gold mining town turned-apple growing Mecca is the place to be when it comes to pie-eating contests, gold panning, tractor rides and good ole fashion apple picking. This Botanic Garden draws some serious plant lovers, but my kids and I continue to flock here to climb the giant tree house and frolic in the unique children’s garden. Your kids don’t have to be future ornithologists to appreciate bird watching or any of the 350 animal and plant species that call this 3.3 acre wildlife refuge home. The educational Discovery Center also gives your little ones the opportunity to get up close and personal with sea turtles, rays and leopard sharks. Pack a lunch. What’s your favorite free or budget-friendly San Diego fall activities for kids? Let me and others know in the comments below.